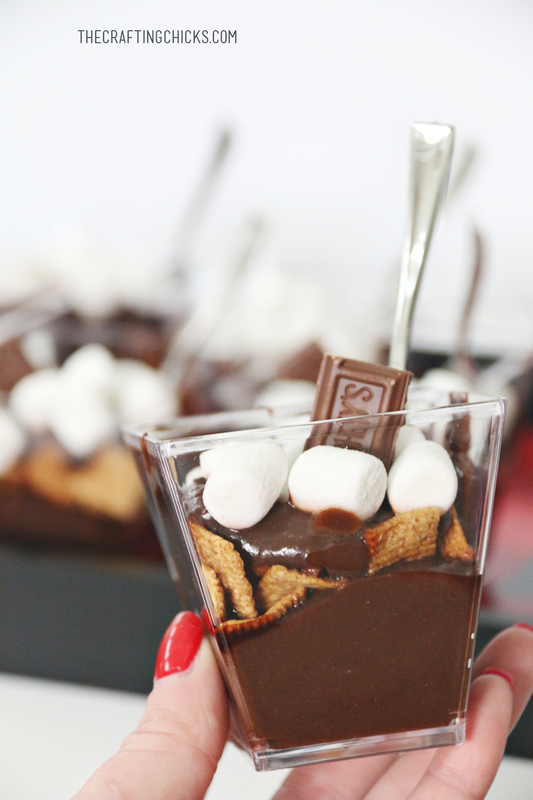 This S’more Parfait Recipe makes up a yummy treat. 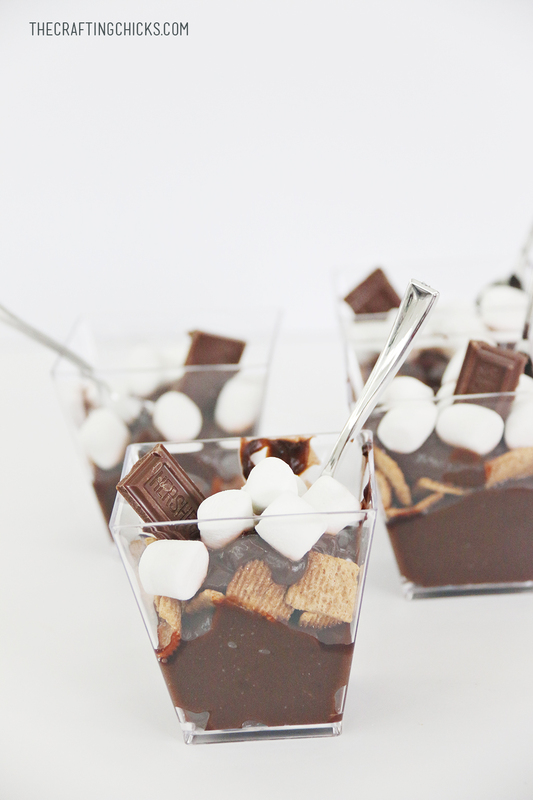 These are easy to throw together but look amazing! Try these for your next get together. We love an easy yummy snack around here. Especially when it involves a s’more twist. 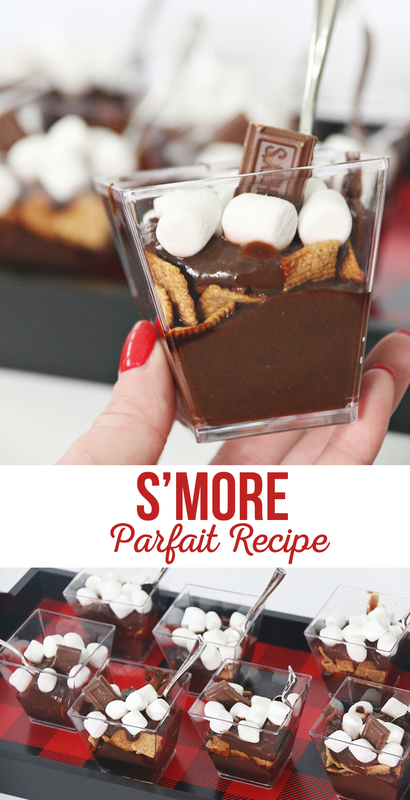 We threw a Hot Cocoa and S’mores Couples Party this year and this S’more Parfait Recipe was a hit. This post contains affiliate links. If you purchase through these links we make a small percentage, but it costs you nothing more. Start off by mixing your Instant Chocolate Pudding according to package directions. 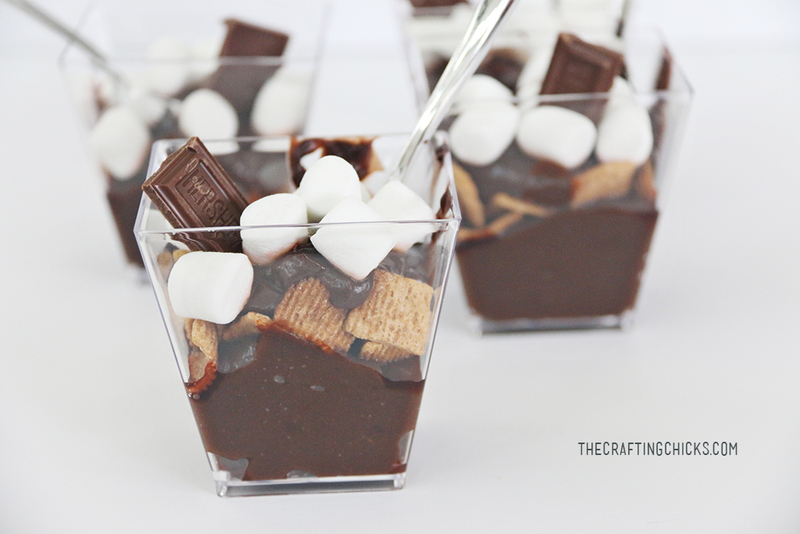 Next layer the Chocolate Pudding, Golden Grahams Cereal, Chocolate Pudding, Mini Marshmallows, and add one rectangle of the Hershey’s Chocolate Bar to the top for a fun garnish. Don’t you love when you get to garnish with Chocolate? I sure do! We these up on a cute Buffalo Plaid Tray we got from Oriental Trading. Can you believe they have cute things like this? 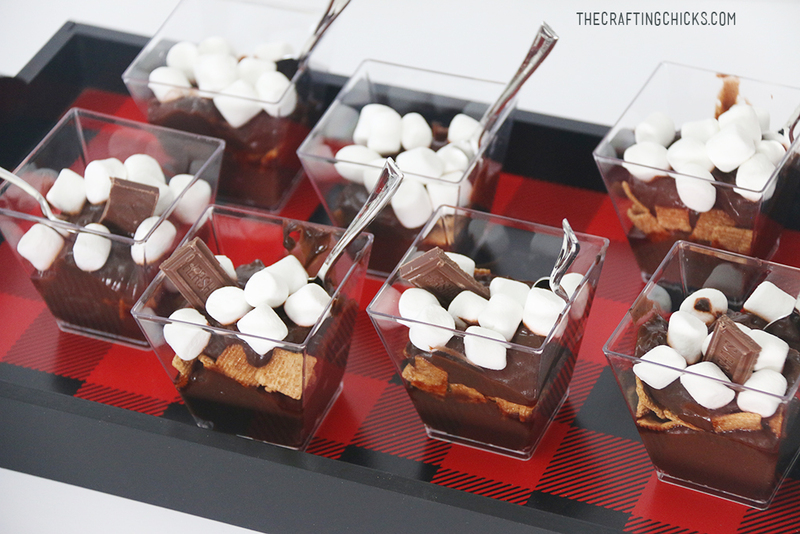 In fact, we used the Buffalo Plaid decor to style our whole Hot Cocoa and S’mores Couples Party. 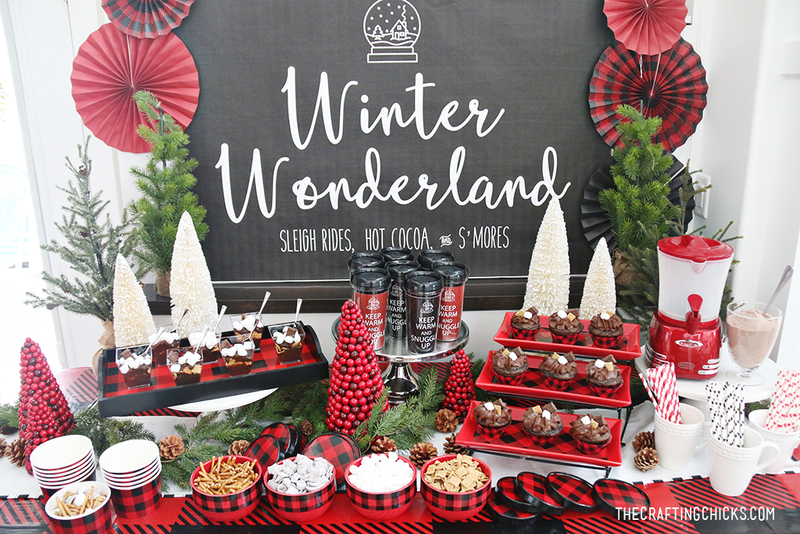 Make sure you check out these others posts that tell you what else we did for this super fun party.